EXECUTIVE COACH -- Deb Berman’s coaching style is about balance –practical, behavioral goal-setting balanced with discovery of ideas, dreams and possibilities; compassionate, nurturing, supportive approach balanced with accountability and direct, honest feedback; framework for discussion, balanced with spontaneous exploration. She has coached business leaders on executive presence, inspirational leadership, emotional intelligence, career growth, strategic thinking, effective communication, and authentic engagement. Deb launched her own management consulting business in 1993. Leading up to this, her career progressed in leadership roles at Children’s Hospital of Philadelphia, Citibank, and Lehman Brothers. In each position, she led teams of learning professionals and consultants, implemented worldwide management and leadership workshops, customized team effectiveness work-sessions, and completed individual executive coaching engagements. 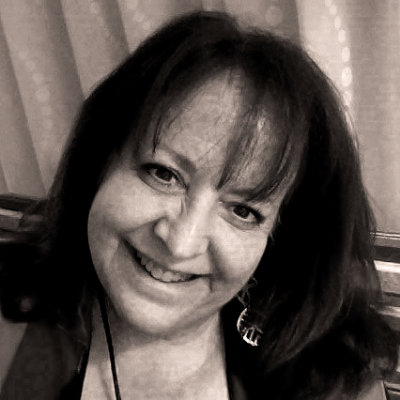 Deb’s work as executive coach, speaker, facilitator, and instructional designer has led to engagements throughout North and South America, Europe, the Middle East, and Asia. With concentration in leadership effectiveness, conflict resolution, and team dynamics, she has maintained long-term relationships with her clients, who look to and benefit from her keen awareness of their unique and often complex business challenges. Deb’s engaging, energetic, and humorous style has been consistently recognized by clients and business partners at all levels of client organizations.She is certified/qualified in several industry-leading instruments and processes, including Myers-Briggs Type Indicator (MBTI), Situational Leadership, Strengths Deployment (SDI), EQ-i and EQ-360 Emotional Intelligence instruments (MHS), DiSC, Hay Group Leadership Styles and Organizational Climate Surveys, BlessingWhite’s Leadership and Engagement suites. Deb’s long-term clients span a wide range of industries. Her most recent engagements include pharmaceutical (Novartis, Bristol-Myers Squibb and Teva), entertainment (Paramount Pictures, Viacom, HBO), financial services (Prudential Financial and Capital One), retail (LVMH and Coach), and consumer goods (Dannon, Colgate, and Unilever). In addition, she has donated time to non-profit organizations, teaching and advising on leadership development, motivation, and team effectiveness. Deb graduated with honors from the University of Pennsylvania with a dual degree in Psychology and Sociology. In addition to graduate coursework in Research and Human Resources Development, she completed Coaching Certification at the Institute for Professional Excellence in Coaching (iPEC). Served on five new product design teams for international training companies and received accolades for her creativity and results-focused work style. Won two industry awards for her leadership and collaboration. Led 500 executive team offsite sessions, 1,000 hours of executive coaching sessions, authored 25 leadership training workbooks, and mentored 35 professional speakers.